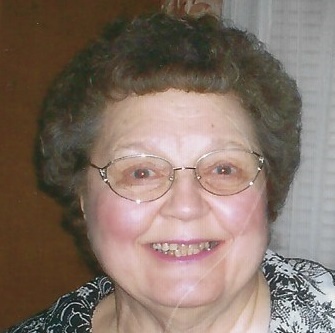 Rankin, Catherine A., 83, Ebensburg, formerly of Johnstown, passed away April 1, 2019 at Cambria Care Center. Born January 31, 1936 in Jerome, PA, daughter of the late Joseph and Catherine (Voidak) Witkowski. Preceded in death by husband, Telford Rankin; and brother, Joseph Witkowski. Survived by loving son, Carey Rankin married to Bernadette, Stoystown; grandchildren, Adam Rankin and Skylor Kubas; sister, Donna married to John Snyder, St. Louis, MI. Also by beloved granddog, Sydney. Catherine retired from Memorial Hospital with 38 years of service, member of the retired nurses of Cambria and Somerset and life member of St. Patrick Catholic Church. Family will receive friends from 2 to 4 & 6 to 8 p.m. Friday, April 5th, at KENNEDY’S 219 Ohio St. Johnstown, where vigil service will be held in the afternoon. Funeral mass will be celebrated 1:00 p.m. Saturday, April 6th, at St. Patrick Catholic Church, Fr. Walter Moll. Committal Richland Cemetery. www.moskalandkennedyfuneralhome.com.